After the approaches and support of the Jurgensen Bridge, southeast of Patterson, had been severely damaged by flooding in 2010, Madison County Secondary Roads requested assistance from the Federal Emergency Management Administration (FEMA). 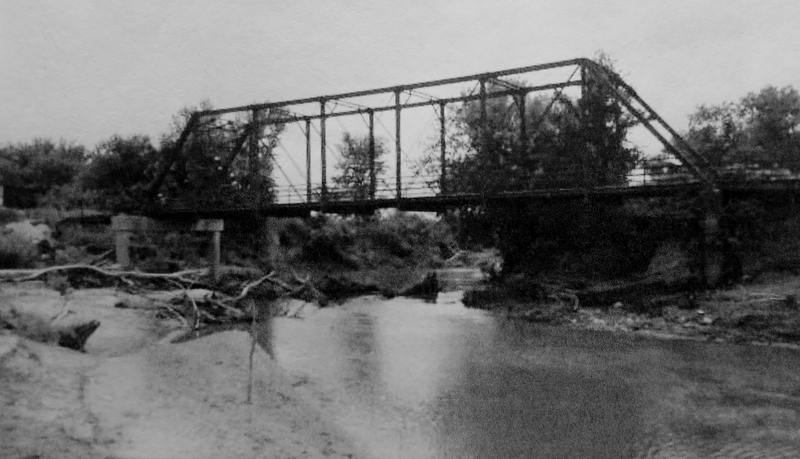 In August, 2014 FEMA asked the Madison County Historic Preservation Commission to discuss possible mitigation solutions since the bridge was protected, due to its age, under the National Historic Preservation Act. 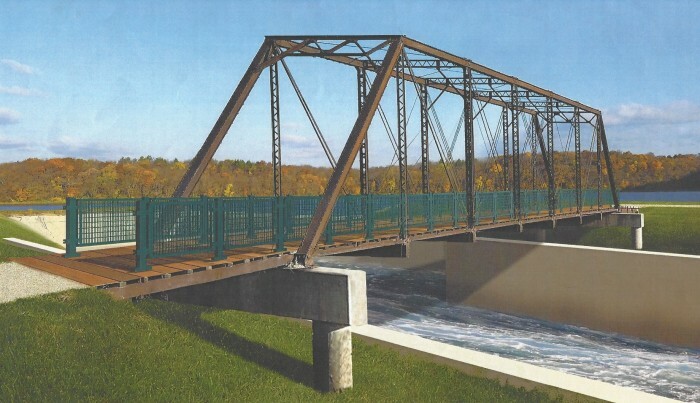 The solution to move the 60,400 pound bridge from its current location and make it available to the Cedar Lake Recreational Trail Project as a pedestrian/bicycle bridge was approved by FEMA, Madison County Supervisors, the Mayor of Winterset, and the Historic Preservation Commission. The bridge currently rests on the roadside near its former crossing. The move of Jurgensen Bridge to its new location near Cedar Lake has been funded by a $500,000 grant through the Iowa Department of Transportation’s “State Recreational Trail Program.” The actual date of the move has yet to be determined. Below, the conceptual design as a pedestrian/biking bridge over the Cedar Lake spillway. Date of placement yet to be determined. Photo courtesy of Winterset Parks & Recreation Department.